Choosing flowers for spring and summer weddings is a no-brainer: There are tons of varieties in season, and any sweet pastel or bright and sunny color scheme feels appropriate. But if you want wedding flowers that reflect the fall season in a chic and intriguing way, it’s a little more challenging. We’ve quizzed some of our favorite florists and event designers on the latest trends in fall flowers. The good news: Your options in the fall are as gorgeous and stylish as ever. 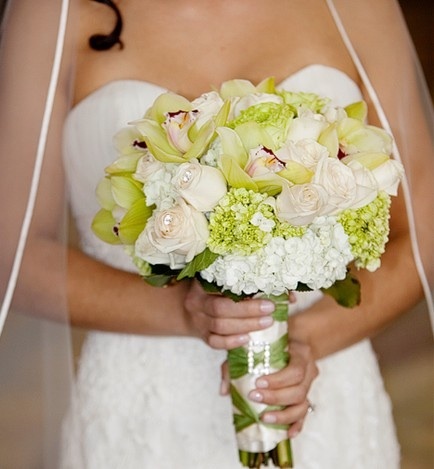 The hottest trend in fall wedding flowers is lush, richly hued arrangements with lots of interesting texture. Instead of using just two or three types of blooms in your centerpieces, try a wide mix of flowers coordinated with your color scheme. For example, you could start with a base of classic flowers and mix in feathery crocosmia and velvety coxcomb. Or you could add non-floral accents such as viburnum or hypericum berries, lotus pods, fiddlehead ferns, or wooly lamb’s ear leaves to make the arrangements more remarkable. For a distinctly fall touch, poppies with dark centers add visual depth and a dramatic element that announces that summer is over. 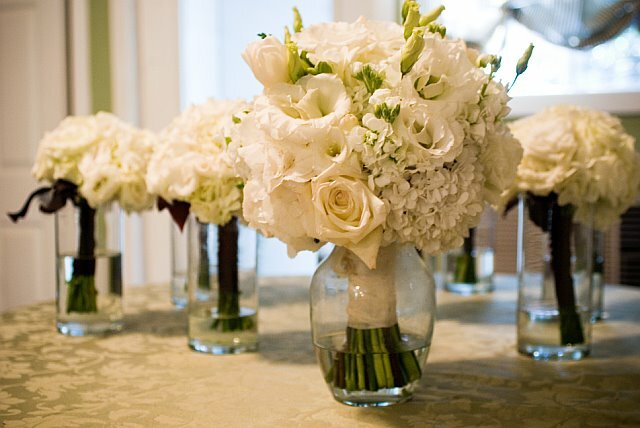 Although texture is key, classic flowers still rule for fall weddings. Tailor them to the time of year by choosing more deep and dramatic shades than you would in the summer — opt for classic autumn hues or go with more unexpected colors like aubergine, copper, and forest green. Lush, elegant dahlias may be the quintessential fall blossom since they come in all the autumnal tones (red, burgundy, orange, and plum). Of course, roses will always be popular and are available in any hue you need for your fall color scheme. 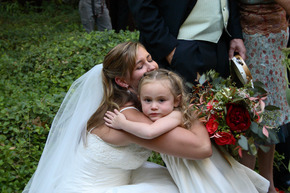 Also hot for fall weddings: antique hydrangeas in greens and purples, and deep crimson calla lilies. Loosely tied bouquets that look like they were just gathered from an English garden are a natural choice for many brides during the spring and summer, but for fall weddings, bouquets can be more structured. Think densely packed, dome-shaped bouquets in a color scheme such as red, brick, and plum. Instead of leaving stems exposed, trend-conscious florists wrap them in textured fabric, velvet sashes, or ribbons. The groomsmen boutonnieres can be similarly polished — instead of a bare stem, choose boutonnieres wrapped in satin or grosgrain ribbon for your wedding party. Succulents are a hugely popular landscaping trend right now, and stylish brides are working them into their centerpieces too. They’re seasonless but come in deep, fall-appropriate hues like aubergine, cactus green, and pomegranate. Since their leaves look like petals, succulents mix easily with flowers, and they’re a natural choice for weddings in the Southwest. 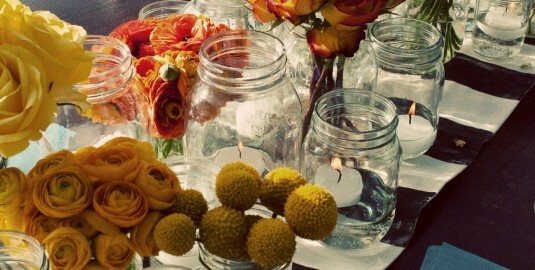 For centerpieces, unique containers are de rigueur. Classic glass vases may feel right in summer, but for fall, style-conscious couples are using everything from eye-catching copper pots to silver trophy cups and gold-leaf vases, or going earthy with containers made of wood or covered in lichen. Mismatched antique urns or pots from the flea market are also popular. Use a collection of pots in different sizes — as many as five per table — that your guests can take home at the end of the evening. If you decide on glass vases, you can add a distinctly fall feel by using wheat berries or millet as a base for the flowers. 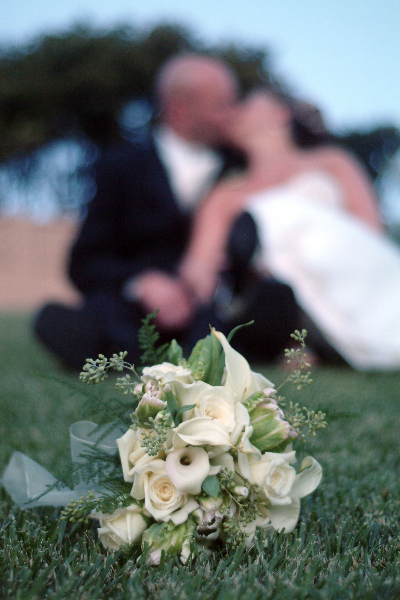 Eco-conscious couples and their florists are focusing on using locally grown organic flowers. One eco friendly wedding tip for your flowers: Stick to flowers grown near the wedding site, which lessens your environmental impact, rather than flying flowers in from another continent. 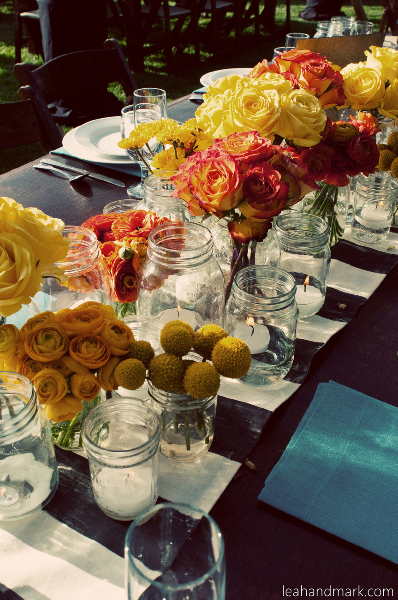 Organically grown blooms spare the earth (and your guests) from exposure to potentially harmful chemicals. It’s also a great way to support nearby nurseries and celebrate the local region.